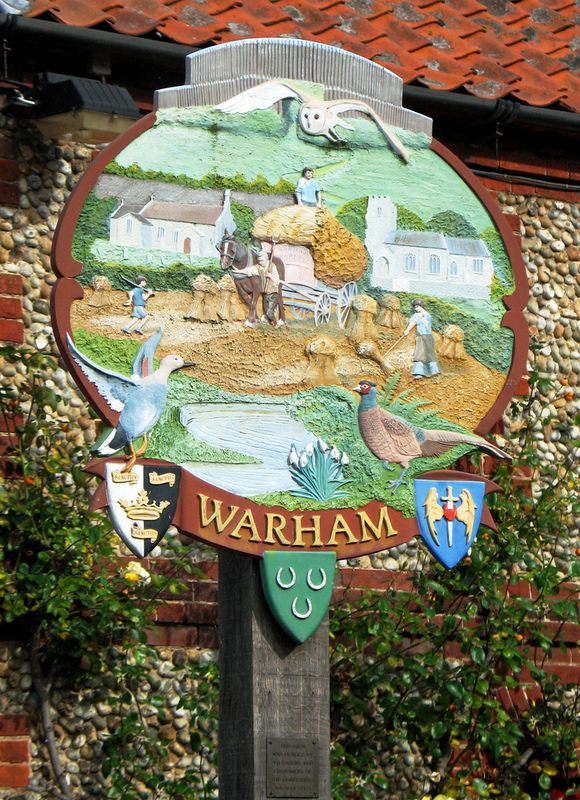 Warham is a village in the English county of Norfolk. It is situated about 5 km (3.1 mi) inland from the north Norfolk coast, 5 km (3.1 mi) south-east of the town of Wells-next-the-Sea and 50 km (31 mi) north-west of the city of Norwich. Surprisingly, this small village has two large medieval churches, All Saints near the village centre and St Mary Magdalen about 500 m away. Originally, there were two ecclesiastical parishes here, but the two parishes were merged after the Reformation. Just south of the village is Warham Camp, a small ancient hill fort earthwork built by the Iceni in the 2nd century BC, known locally as 'the Danish Camp'.